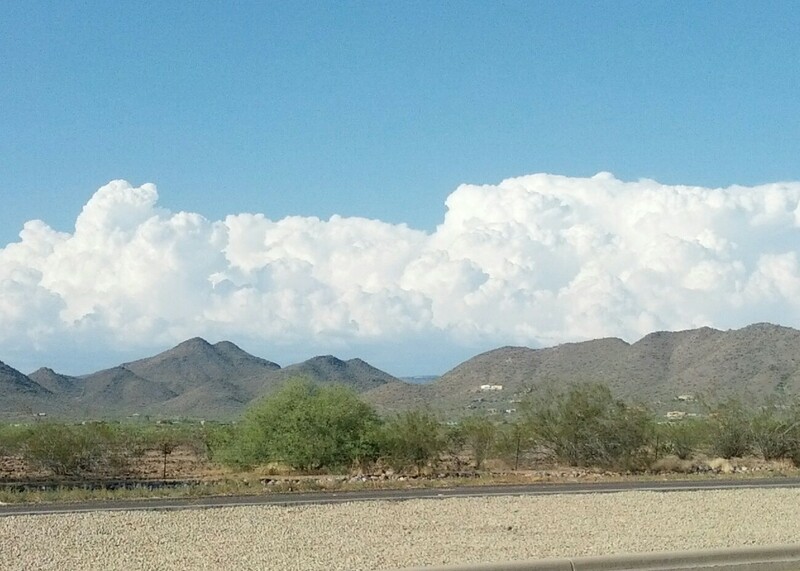 The clouds regularly come in from the North, but bunch up at the mountains just above Carefree highway. Unless we’re in for a huge storm, they won’t continue into Phoenix, but will slide off to the East and follow the mountains South until finally breaking loose over Mesa. Its a real shame when they’re raining.